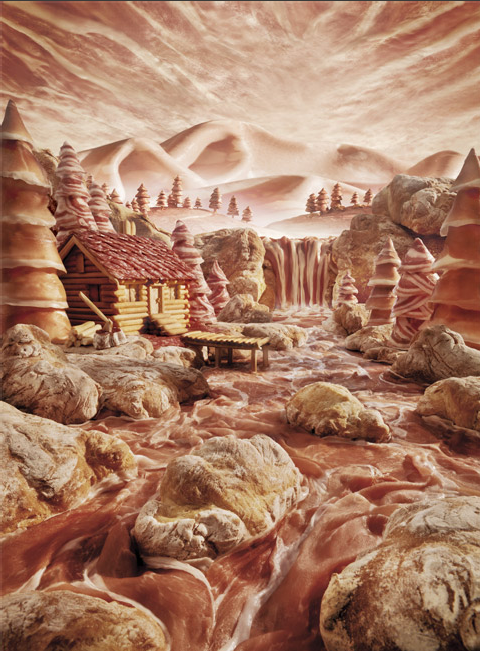 Check out these beautiful “foodscapes” by London-based artist, Carl Warner (link thanks to YumSugar). Everything is made out of food – the trees, the hot-air balloons, everything! The pic below even has a prosciutto river!! (is he reading my dreams?) When you go to his site, click on Fotographics and then the second briefcase to see all the pieces. i think these are really cool. how did you make them?